2.5 x 2.5m awning/fly net protecting you from flies and mosquitos. This awning net can be clipped on to any awning not bigger than 2.5 x 2.5m. 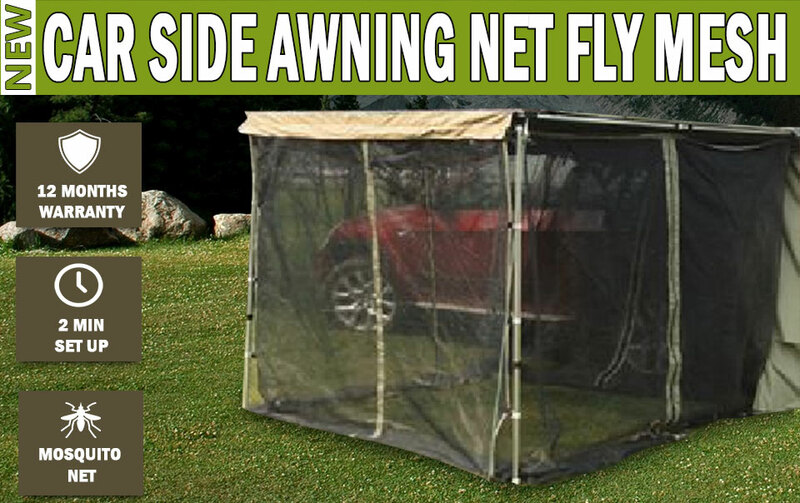 It comes with Velcro along the side of the net, installing the awning net takes less than 2 minutes. Velcro can be hang on to the side and the stand of the awning ensuring the mosquito net stays on firmly. Bag is included for packing the net away while not in use. 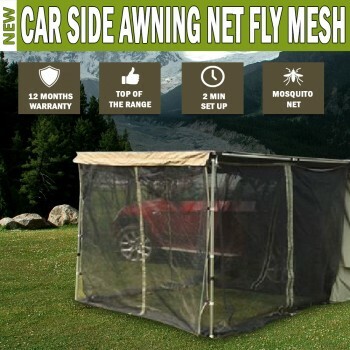 This awning net is to be used with a suiting car awning. It does not come with any poles or stands.